A wooden bench is probably the most casual furniture article that could be used outdoor. It has got a special affiliation with the outdoor spaces. We have presented a number of pallet wooden bench inspirations that are very much appreciated by the folks. 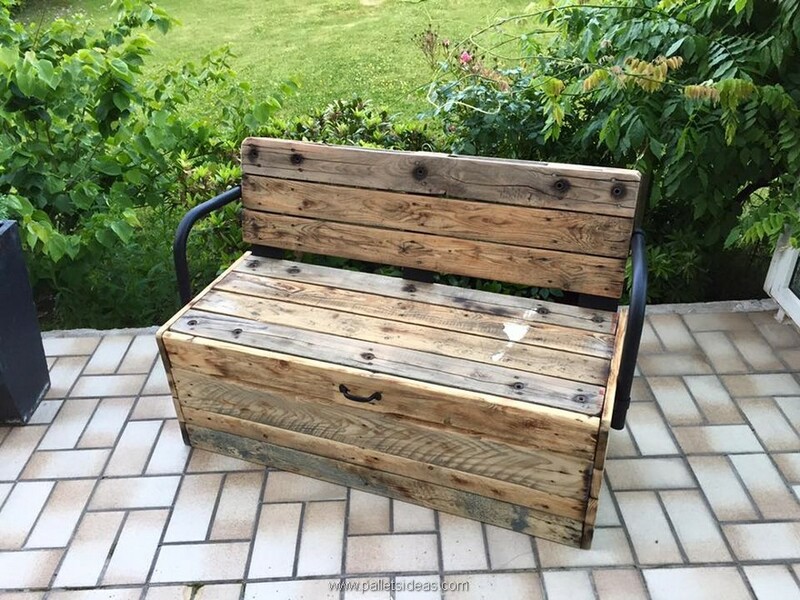 Here we have come up with a reclaimed garden bench that is made with the wood pallet, but here we are bringing a garden bench where we have also added some reclaimed features in the bench, and that is going to make the best part of the pallet wood repurposed bench. I hope you guys would really like this one. 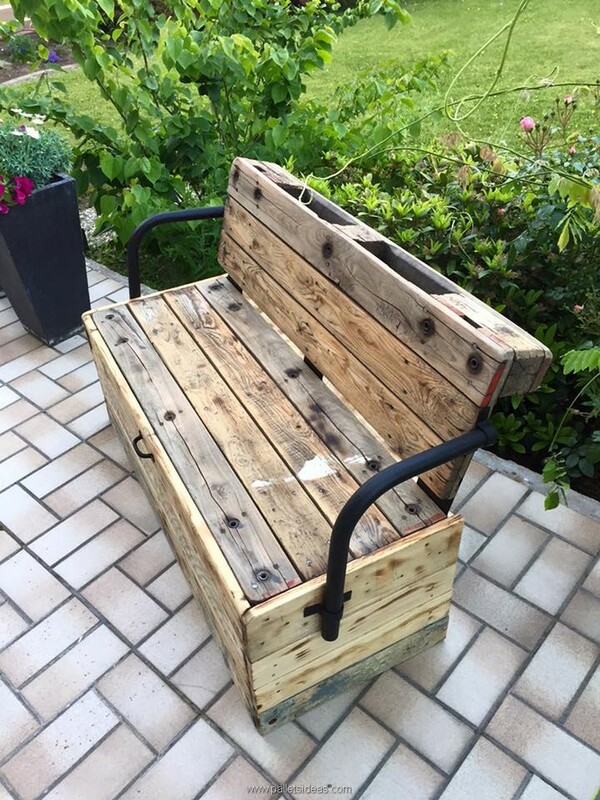 Look at this splendid artistic wooden pallet bench, this is made with some aged and broken pallet wood planks yet it looks very appealing and eye catching. We can clearly see the marks and scars on the planks still they don’t count much as we have given it a very ideal shape. Look at the back of the wood pallet bench, a whole half of a shipping pallet is cut into half and attached to the back of the bench. And if we see at the sitting space that is also wider that the usual. And finally comes the reclaimed part of the wood pallet upcycled bench that is the reclaimed arm rest, these iron pipes are perfectly shaped and molded that shows that they were the part of some old broken furniture article from where they are grabbed. 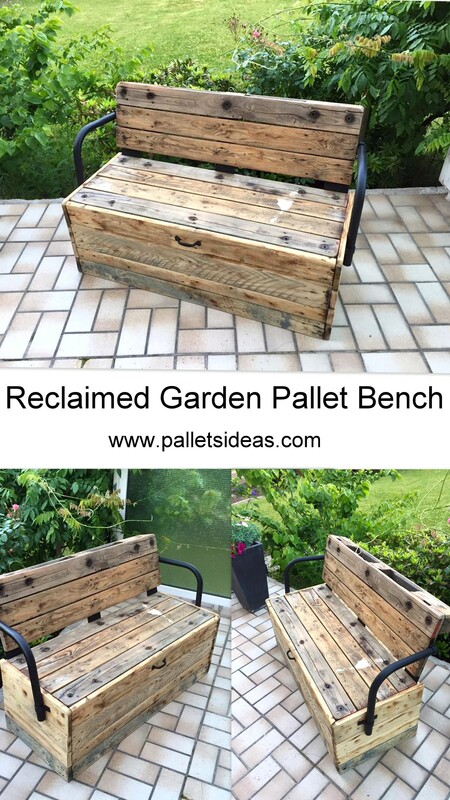 And it has probably made the best part of the pallet wood upcycled bench. Even to fix it wasn’t that easy, it has got the metallic strips on both ends, where there are specified holes where the screws would be fixed. 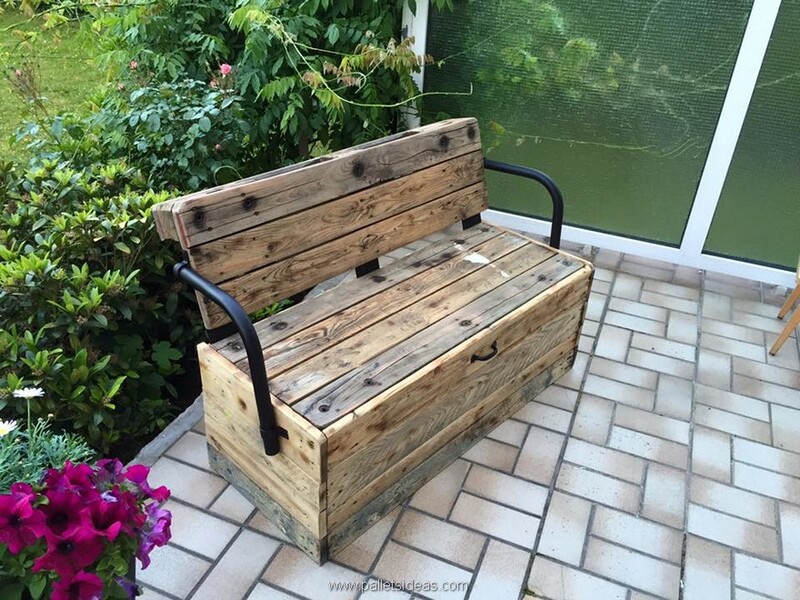 Despite of all the marks and scars the pallet wood made bench would just look perfect in the garden.